our child immaginarium. 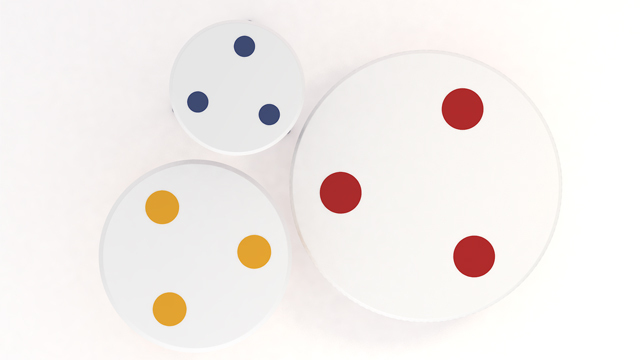 The tables have an ironic appeal that is also emphasized with the creation of three different heights and diameters. 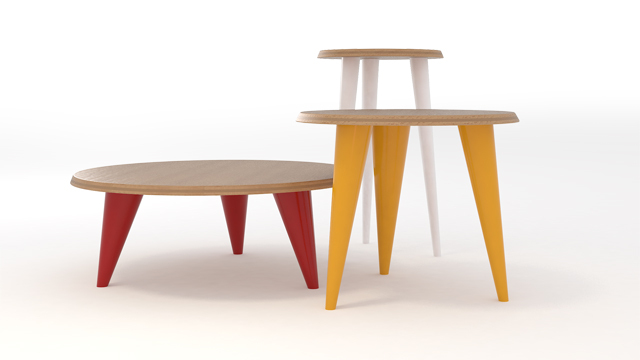 Three coffee tables in different dimensions. 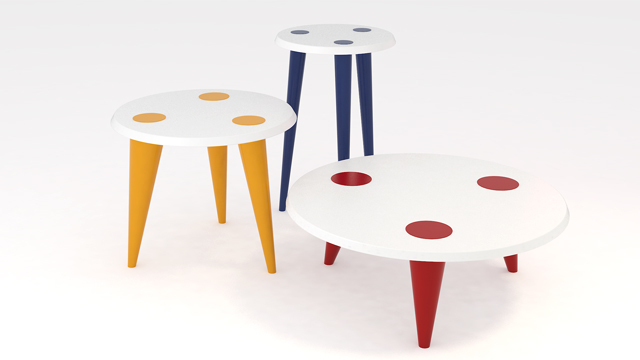 Circular table tops and conic legs. 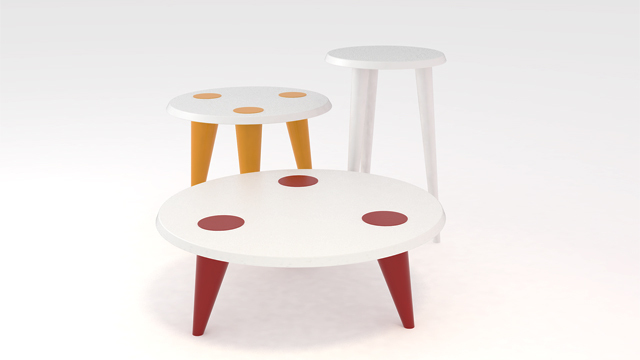 Table top in Hemlock wood / mdf lacquered white. 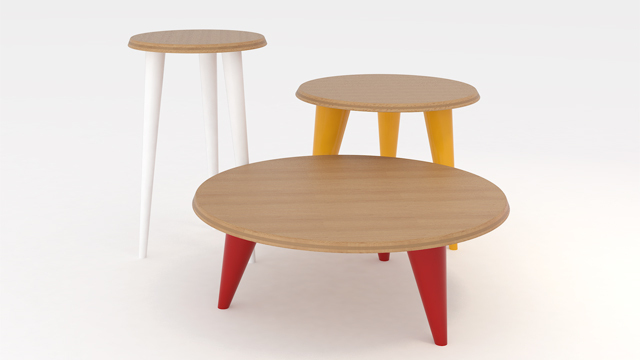 Legs in lacquered wood – 3 different colors ( red, blu, yellow). All natural colors. 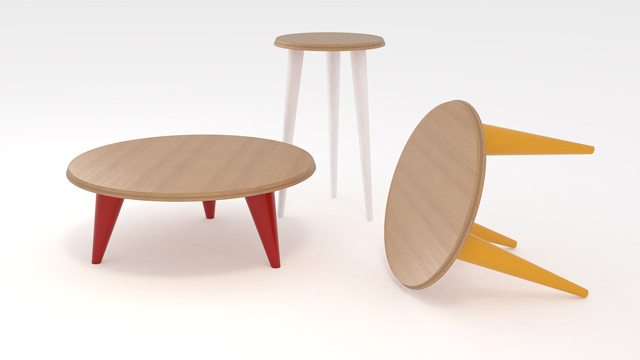 Product 100% recyclable.